You have been waiting for it and now it is about to be in the market. We are talking about the 2019 Lexus ES with all its different versions. Be on the lookout towards the end of this year, but before then, let’s get you into the details of what to expect in the new 2019 Lexus ES before it hit the market. 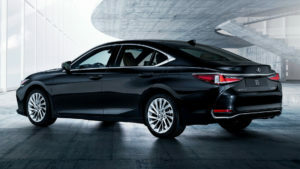 According to Lexus, other sources and industry speculations, this 2019 Lexus ES will be at the dealership towards the end of September 2018. It is evident that Lexus is not playing small in the automotive industry and they have made sure that on the top of the list in terms of changes for the 2019 Lexus ES model is SAFETY. This 2019 model has been endowed with enhanced safety systems such as the ability of the car to identify someone riding on a bicycle or someone walking on the pedestrian lane in the night, it is able to automatically apply the break in dangerous situations. There are changes to the interior make up too, for example, the 350 F Sports versions have even more safety systems that help the steering to stiffen up and engages the throttle in its fullness. Many FWD cars are not so known for their rigidity. But, the 2019 Lexus ES is here to break the jinx. It will be riding on a platform that hasn’t been seen around or heard of among the FWD class. 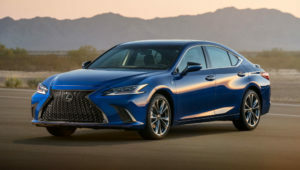 The 2019 Lexus ES engine will produce a massive 302 hp and a torque of 267 lb-ft from a 3.5 liter V6, this is an impressive increase from the usual 268 hp and torque of 248 lb-ft.
You should be aware that there is also a hybrid version of the 2019 Lexus ES, it is called model 300h, the engine of that model will have an electric motor and a 2.5 liter (which connotes the reason for it being called hybrid). 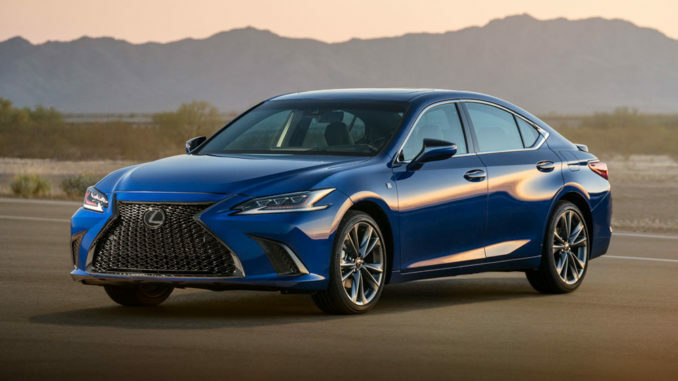 When you talk about the kind of technology that can serve your fantasy and entertain your pleasure, don’t think too far, think of 2019 Lexus ES. 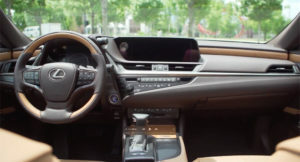 A peep into the inside of this sporty car, you will see that the 2019 Lexus ES has loads of daring technologies such as the phenomenal Amazon Alexa and the CarPlay from Apple, although it misses out the Auto from Android. These technologies are finely arranged in a horizontal pattern. Some more features that you will see include the information and entertainment display, it is 8.0 inch wide fitted perfectly to the dashboard. Around the gear lever, there is an exciting stuff there – it is like a laptop pad that can be used to control the software installed for infotainment. All the other functions for audio and for climate control within the car have dedicated buttons (hardware) to work with. 2018 Jeep Renegade – Exquisite Fuel-Efficient Crossover.